At this private event, our guests will be treated to drinks, food (bring your appetite), and a $150 shopping voucher. Technology leaders are always looking for ways to design, build, and operate their environments more effectively. When looking at possible solutions, public cloud offerings are often considered. While there are many success stories, savvy leaders quickly become skeptical. Are public cloud offerings really more cost effective? Why are some workloads better or worse to operate in a public cloud? What factors should be considered when evaluating a given workload? And how much time and effort does it actually take to migrate? Of course, those questions are just the tip of the iceberg. Many organizations also wonder about cloud availability and performance, security and compliance concerns, and how hybrid environments that include on-premise and public cloud workloads will affect operations. 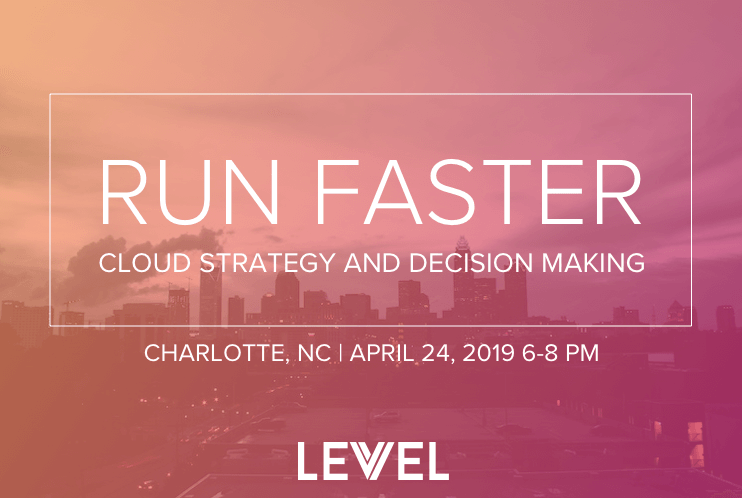 Join us on April 24 for a panel discussion about the benefits and commons pitfalls of moving to the cloud and so much more. We’ll dive into the top business drivers, stages of cloud adoption, the migration process, application strategies, and answer your questions throughout. Our industry-leading panelists will share stories about what they hear their customers trying to solve around cloud strategy and take time to answer your specific questions. After the panel, all guests will be treated to a shopping experience with Charlotte Running Co. and given a $150 voucher. This event also includes food and drinks and a happy hour with plenty of time to shop and network with guests. 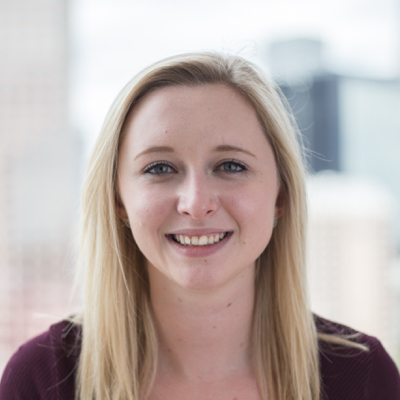 Emily is an Azure-certified cloud architect at Levvel, where she has worked in application development, cloud enablement, and technology architecture assessment efforts. Additionally, Emily has spent the last several years in technology strategy and delivery for clients ranging from startup to Fortune 50 companies. Emily is an avid sports fan so she spends her free time cheering on the Heels and Carolina Panthers. Emily graduated with a B.S. in Computer Science and a B.A. in Mathematics from the University of North Carolina at Chapel Hill. Chris is a Senior Consultant at Levvel with a focus on cloud technologies. He has 20 years of experience in software development, consulting, and aligning technology to support sales and marketing initiatives. 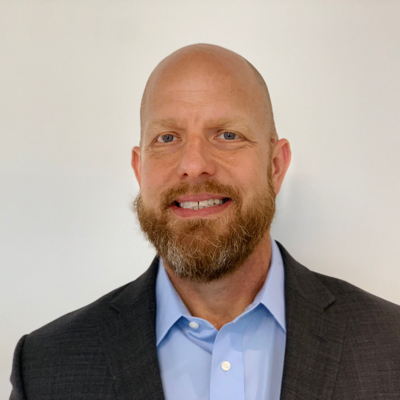 Chris also has over 20 years of software development lifecycle experience leveraging Java technologies as well as extensive experience leading teams through complex applications of cutting-edge technology. 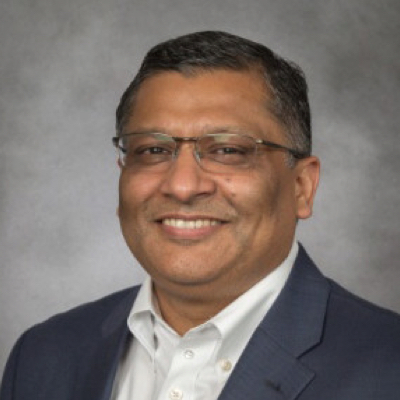 As a Technology Executive at AIG General Insurance Group, Shilpoo is actively driving Cloud / SaaS Adoption, Core Platforms Modernization, APIs first strategy, and just in time Analytics platforms build out. 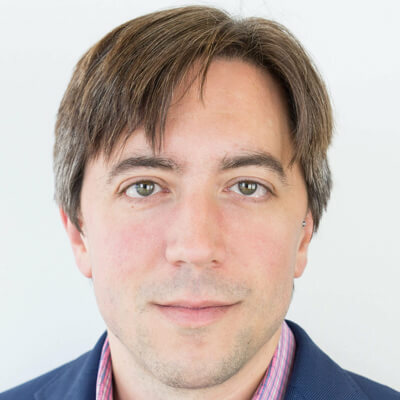 He is also responsible for digital transformation, development, and technology operations of next generation Payments, Security / Authentication, and Tokenization platforms. To ensure the best educational experience for our guests and manage venue capacity, this event is limited to practitioners only. Regretfully, that means none of our associates in sales, consulting, or working for competitive products within the subject domain. Yes, I fit the bill!Not quite me but I’d like to join if there is space * Are you a practitioner?